We have a lot of Requests about getting an estimate for how much a job may cost. We try to respond to every quote request and visit the site in person promptly but unfortunately we cant make it to everyone at a convenient time. We wish we had more hours in the day! As well as Job quotes, sometimes you may just need a rough price guide in order to check your budget, or some information about what a product can do, or the method to do a job. We have put together some information here about concrete and earthmoving work that will hopefully help you out. For information about our other services such as landscaping and property presentation, please check out those links. As every job is different it is very difficult to give an exact price without seeing the job but We can give some basic information about pricing that can be used to get a close estimate. These prices above ^ include the cost of labour and materials to complete the job. Site conditions: for example a site with a large slope or lots of vegetation creates added problems. Earthworks: for example a job site may need lots of excavation and removal of excess soil. Drainage: for example a job site may need additional drainage or plumbing in order to be used. Site access: for example a job site may have very limited access that affects the work. Traffic: for example a job on a main road may need traffic control. Types of concrete finishes: for example a job that has many areas and different finishes may need to be completed in a certain way that affects the amount of time needed to complete the job. Now if that same job needed a large amount of earthmoving and soil taken away it could add $500-$1000 to the final price. Or if the driveway was on a very steep slope or hard to get to then a concrete pump might be needed which could add $500-$750 to the price. Much like buying in bulk, the price of concrete work goes down as the square meter area gets bigger, the price of larger jobs can work out to be lower, per square meter, than smaller jobs. As we have mentioned previously, it is sometimes hard to get out to every job to do a quote. Because of this we have introduced and online quote feature. We can give you an online quote that will be very close to a final quote price. This can save you time and money as we can get a price back to you quickly without us having to visit and you can check this quote againts your budget. This lets you know quickly and easily what kind of money the job will cost and any ideas or problems we can see. After the initial quote. If you decide you would like to move forward or discuss the fine details then we can arrange a meeting where any minor changes can be made and give a final quote price. If you would like to use our online quote service then we need as much information as possible. If there are plans for the job then send those. If no plans then we need to know certain things which will effect the price. Please follow these steps. 1.What type of Job is it? 2. What type of concrete? 3. How big is the area? We use the square meter measurements to estimate on all types of jobs including new concreting, demolition and removing old concrete, concrete resurfacing and cleaning and resealing. To get the square meters just measure the length x width, in meters. For odd shapes just break the area down into smaller sections that are easier to measure and add the parts together for a total. It doesnt have to be an exact number, just get it as close as possible. 4. Is the job site on a hill or slope? 5. Is the job on a main road? 6. Is there any drains or plumbing that needs to be put in the concrete? 7. Is there any concrete cutting or removal of concrete needed? If so please give an estimate of how much. 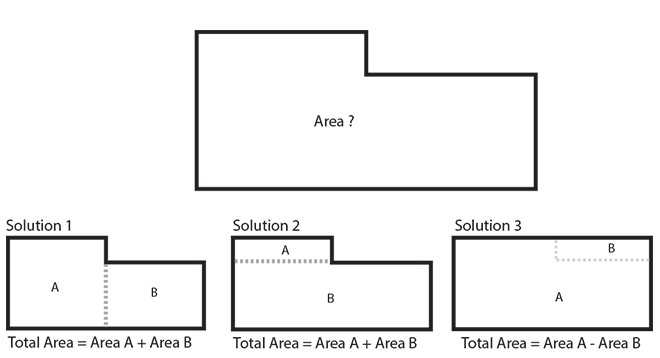 You measure the length and width of the area to get a close idea of square meters. 8. Are there any extra things you would like or think we should know about the job or job site? If you can take as many pictures of the area as you think we need from a few angles so we can see the area. Also if there are gates or tight areas we will need to go through please photo them as well. If you have any pictures you are using as ideas for your job we can use those to and also any special things you think will be important. We can use the pictures along with the information you give us to get a good idea of the job and give you a more accurate quote. Dont worry if you cant answer any of the questions exactly, we can always use what information you have and give you a good idea of a price and if it is in the ballpark of what you are happy with we can schedule a site visit to confirm things and sort out any fine details. We hope that this online quote system can give you a faster way of getting your job finished. Earth moving and excavation pricing information. Our Earth Moving division is primarily based around limited access machines and .5 to 5t Combos. Many existing houses and new houses on small blocks have a very limited area in which to work. Often jobs require material to be excavated or moved up the sides of houses, down pathways, through gates and doors and dodging trees and buildings. These jobs are to big to do by hand but there is not enough room for a larger machine. Our machines can fit through areas under 1 m wide while still having the power to get the job done quickly. For the jobs that have more space, we can supply larger machines and combos to get the job done faster. As well as earth moving machines,we can also arrange removal of waste with tip trucks or site skip bins. We can also deliver materials like soil, mulch, fill, gravel at competitive rates. We can quote on individual jobs but generally earthmoving machines are hired by the hour and come with a licensed and experienced operator. Here is a Pricelist for earthmoving and excavation machines.